Recently discovered carbon nanotubes have exhibited many unique material properties including very high thermal conductivity. Strong sp 2 bonding configurations in carbon network and nearly perfect self-supporting atomic structure in nanotubes give unusually high phonon-dominated thermal conductivity along the tube axis, possibly even surpassing that of other carbon-based materials such as diamond and graphite (in plane). 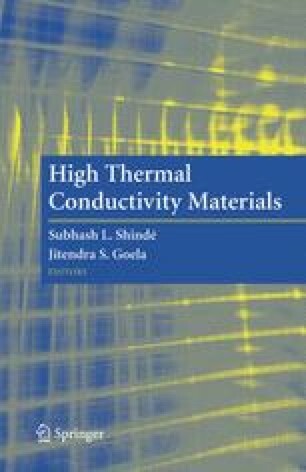 In this chapter, we explore theoretical and experimental investigations for the thermal-transport properties of these materials.